AWFS 2015, which takes place July 22-25 at the Las Vegas Convention Center, will highlight new trends and technology. With AWFS 2015 less than a month away, woodworkers are preparing to attend one of the largest woodworking events in North America this year. 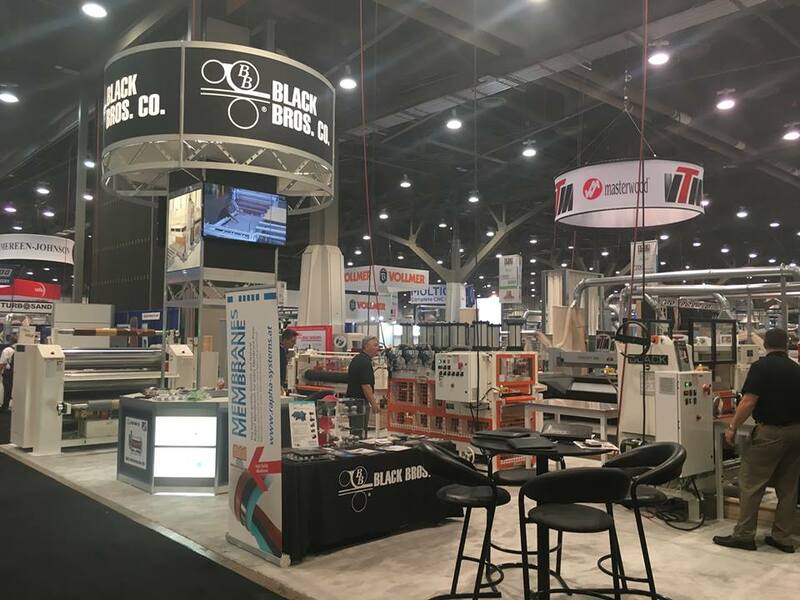 Excitement is building towards the biennial show as AWFS 2015, which will be held at the Las Vegas Convention Center July 22-25, promises to offer professionals of all strips the latest cutting-edge strategies to build business and improve shop productivity. Also manufacturers and suppliers will showcase their latest advancements and developments in woodworking machinery, equipment and supplies. The highly anticipated show will have over 500 exhibitors and approximately 20 percent more floor space than 2013’s banner show. Plus, over 100 new exhibitors have signed up for this year’s fair. From its packed show floor, premier educational courses and seminars, speakers, demonstrations, competitions and much more, AWFS 2015 has a lot to offer. AWFS’ education program, College of Woodworking Knowledge (CWWK), will have more than 60 speakers covering approximately 50 topics. The in-depth courses will discuss issues facing woodworking professionals today and offer solutions and best practices for improving business. Education tracks are: Business Management, Cabinet/Millwork, Furniture, Small Shops Ten & Under, Software/Technology, Techniques and Applications, Safety & Environment, and Teacher Track. “Outsourcing CNC Services for Furniture Production,” Wed., July 22, 9 a.m. to 10:30 a.m.; Speakers: Brian Berger; Martin Goebel; Daniel Hellman; Moderator: Craig Sexton, SNX Technologies. This session reveals how small shops can access CNC through partnering with larger facilities who can then maximize idle time on their existing machines. “Effective Leadership For Owners, Managers & Project Supervisors;” Thurs., July 23, 9 a.m. to 10:30 a.m.; Speaker: George Hedley. This session includes practical steps to identify your vision, set clear targets and goals, develop a scorecard tracking system, delegate, let go of control and make people accountable and responsible to achieve big results. “Wood Dyes and Greene & Greene Coloring Methods; ” Fri., July 24, 8 a.m. to 11 a.m.; Speaker: Brian Miller. Finishing expert Brian Miller tackles the different types of dyes and their uses as they pertain to the finishing industry today, in a captivating lecture-demo format. “Optimized Tooling Technology for Efficiency and Profitability;” Sat., July 25, 9 a.m. to 10:30 a.m.; Speaker: Mark Alster. Attendees will gain understanding of critical tool design attributes, proper tool use and performance expectations and then join in a review of current cutting tool and machining technologies. “Legislation Affecting the Woodworking Industry,” Wed., 1 p.m. to 2:30 p.m.: Presented with OSHA, CARB and U.S. Dept. of Justice, discussing combustible dust, formaldehyde and the Lacey Act. “Developing a Written Workplace Safety Program,” Thurs., 1 p.m. to 2:30 p.m.: Presented by Don Evans with the Safety Consultation and Training Section of OSHA. Also, popular SMART! Seminars are back this year. Taking place on the show floor before it opens, these sessions offer attendees technical advice and tips. All classes will be held in classrooms N101-N120, except the SMART! Seminars. Visit http://bit.ly/1DK8v7v to register. AWFS announced a redesign for its Best of Show trophy for Fresh Wood, the show’s student design competition. The original design, created by famed woodworker Sam Maloof in 2003, featured a sculpture of his iconic rocking chair arm. “This new approach to the Fresh Wood Best of Show trophy will now highlight other woodworkers and give the Best of Show recipient a truly one-of-a-kind and memorable piece to recognize his or her achievement,” said AWFS Assistant Eduction Director Adria Torrez. Marquetry expert Paul Schürch will unveil the 2015 design during the awards ceremony on Friday, July 24. And for the first time AWFS is introducing a student woodturning competition at the event. The inaugural Turning to the Future contest received more than 40 entries and is hosted by the American Association of Woodturners (AAW). Every other year AWFS also recognizes creativity and innovation as well as leadership in green/environmental product development with its Visionary New Product Awards. Entries are evaluated, by a panel of judges, on quality, production impact, practicality, innovation and user-friendliness. The official publisher of the AWFS 2015 show directory, Woodworking Network also will publish the AWFS 2015 Show Daily, produce live at-show videos and provide daily news updates live from the show floor. Other highlights for the 2015 show include: Special Guest Speaker, John Bassett, III, whose fight for the wood industry was told in the New York Times best-seller, “Factory Man,” Thurs., July 23, 8:00 a.m.; Acrylic Tank Manufacturers Wayde and Brett from the hit show “TANKED,” will appear Friday, July 24 at 10:30 a.m. on the AWFS Stage; AWFS Fair Plastics Program, a new program providing special emphasis on plastics and plastics fabrication; and the AWFS Fair Stage, located on the show floor it will feature mini-presentations, demos, celebrities and much more. Show hours are 9 a.m. to 5 p.m. Wed. through Fri. and 9 a.m. to 3 p.m. Sat. To get the latest AWFS Fair 2015 news on the go, be sure to download the free, official mobile app. 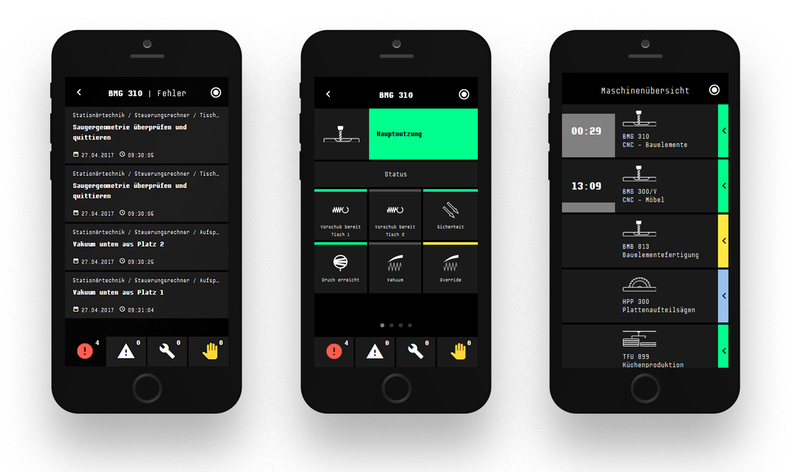 It is available on iPhone and Android devices.